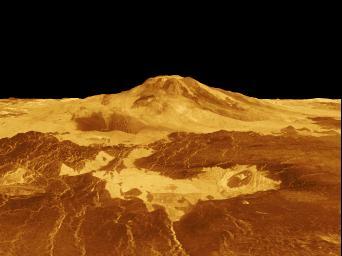 Venus is pretty close to the sun and it is covered with lava so it is hot all the time even at night. Spacecraft have tried to land on Venus but they just burn up so they have to use radar to make pictures of what it looks like (Joel,7). Venus is a planet but people call it the Evening Star and the Morning Star because you can see it shining right after the sun goes down and before it comes up. Once we saw Venus during the day because it went across the sun. That’s called a transit. Then it did not look like a star at all. It looked like a little black dot. You can see all about the Venus transit by clicking here early-field-trip-2 (Titus,8). Previous postWorth a Whiny Wednesday? Yes. Everyone was a bit whiny on Wednesday…including Mom. But that won’t stop us from staying up for the big star show this weekend! Glad you’ll be watching, too! Aren’t the meteor showers actually debris from Halley’s Comet? Yes, they are but I’m growing doubtful as to whether we will actually see any. Clouds every night. Once again, I’ve had so much fun looking around here! Your pics are always amazing. “The heavens declare the glory of God, the sky above proclaims His handiwork!” Looks like you guys have tons of fun learning and loving! Curious abt the factoids… do your guys type them? Write and you type? Narrate? This is such a neat way to share! 🙂 Love!!! Thanks, Shannon! The boys actually decide what they want to write about, then we make handwritten notes together and they type it up themselves (very slowly, one hen-pecked letter at a time). We read through what they’ve typed together and make any necessary corrections before adding whatever pictures or videos they’ve chosen at the end. They look forward to this every week because it’s the only time they ever get to use the computer.